My oldest son wants to be a writer. There are many different types of writing that he will need to learn. 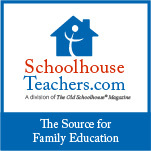 The question has been, how to find the high school writing curriculum he needs? I was excited when I found out I would be reviewing a course by Silverdale Press LLC. 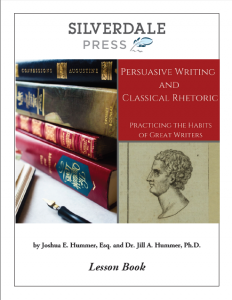 Persuasive Writing & Classical Rhetoric: Practicing the Habits of Great Writers is a 36-week writing course for high school. Writing is an important part of the school year. It’s something I’ve always had a hard time teaching. 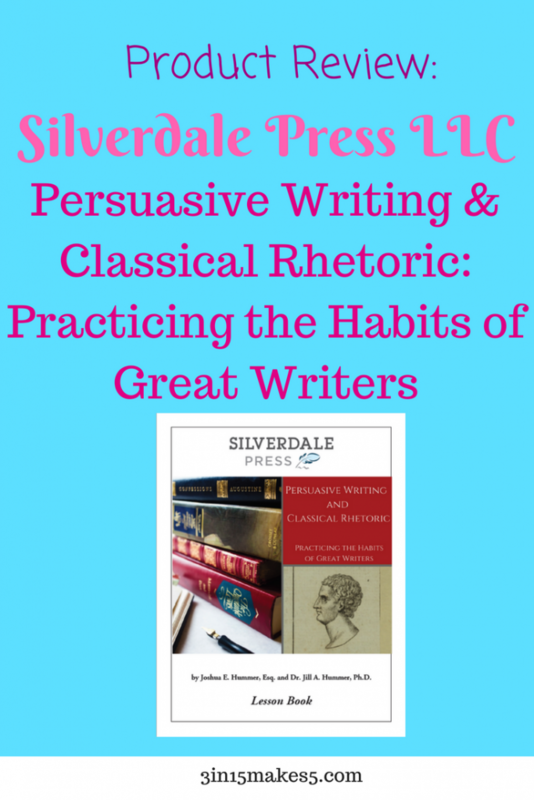 However, the Persuasive Writing & Classic Rhetoric program has everything provided. It breaks the lessons out into 36 weeks, with work for 4 days of the week. Everything is included in the program. The course is self-guided, so you can take more of a supervisory role. There is an Answer Key included making it even easier. All that is required of you (the parent) is to grade Days 1 & 2 (unless you choose to have your child grade it), check for completeness of the Day 3 lesson, and then grade the essay based on rubrics provided. On Day 1 of the week, your child will read from the Lesson Book. Then on Day 2, your child will read an excerpt or complete passage from a great writer or rhetorician from the Reader (for most weeks). Day 3 covers an assignment geared towards research for a writing assignment that will be due after Week 32. Your child will write a 500-word persuasive essay based on the week’s lesson on Day 4 (or you could have them split it up into two days of writing to make it a 5-day week). 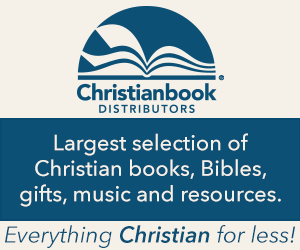 There is a corresponding Workbook that goes along with the lessons for each day. The Lesson Book mentions what part of the Workbook needs to be filled in each day. It is important for writers to be well-read on a variety of subjects. A common trait among many of the great writers and rhetoricians is that they were constantly reading. 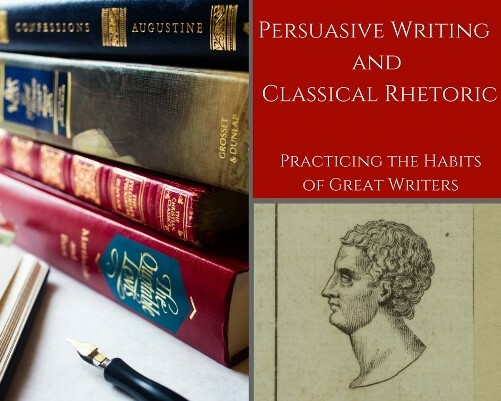 Who are some of the great writers and rhetoricians your student will read in this course? Ancients divided classical rhetoric into five stages: invention, arrangement, style, memory, and performance. 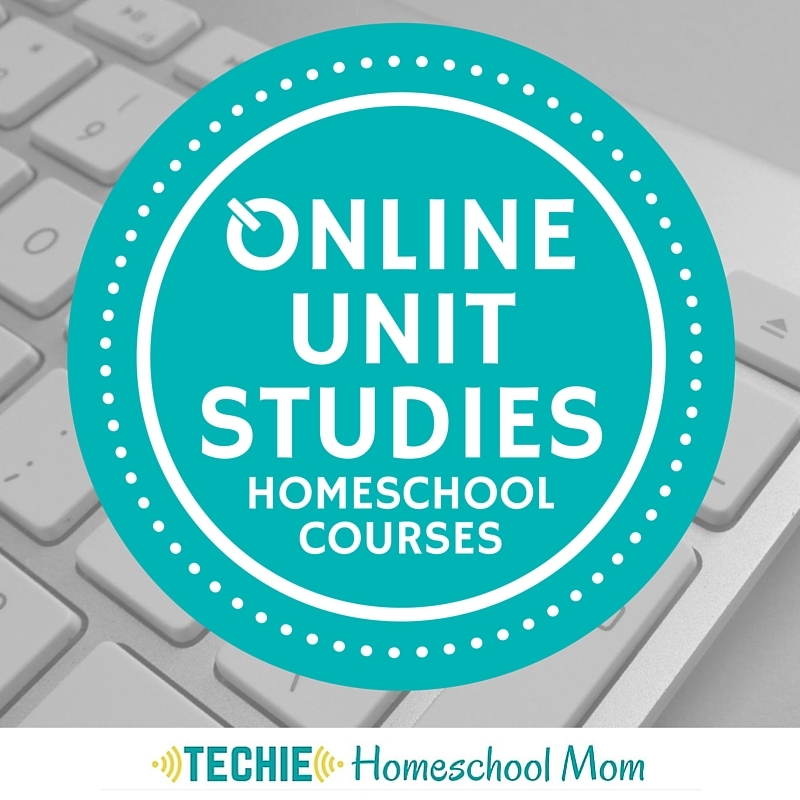 This course focuses on the first three of these stages since the final two are more geared towards speaking instead of writing. Your student will be taught the definition of rhetoric, persuasive writing, and the habits of great writers. He will learn how to properly research for any type of writing, including picking the subject, citing sources properly, and going to the library to perform the research. Your student will have two weeks (Lessons 7 and 8) to perform research at the library to obtain all the information needed to complete the rest of the assignments. Next, the book covers the different ways to appeal to the reader when writing persuasively. There are lessons on inartistic, logical, emotional, and ethical appeals. After that, the student will learn the different ways to arrange the essay as well as the style to choose. 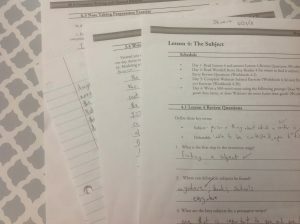 The student will write a draft of the final essay (Lessons 23 and 24) based on outlines they created in previous weeks. 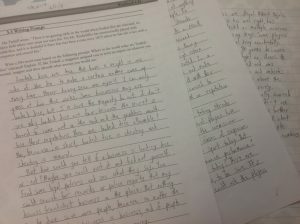 The student writes the final essay to complete at the end of Lesson 32. 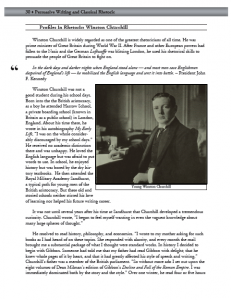 The final lessons go through what writers do and the process of submitting work to a magazine for publication. I liked that all of the information was provided to me. It made it easy to assign work for the day. My son knew what assignment he needed to do, and completed it on his own. Having the books in digital format made it easy for my son to carry around on his Kindle. As a writer, I liked the way that the book gave how other writers write. I liked the tips that they gave and little tips that the authors use to write their books. I liked the readings that they gave for each lesson. They usually applied to the lesson and gave an example of the rhetoric lesson in an actual writer or speaker’s words and writing. The font for the Answer Key was very small and squeezed together. It might have been easier if it had been double-spaced or at least have a little space in between the answers. There were a couple of links in the Reader to web pages for the readings. One was a Martin Luther King, Jr. speech. The link went to a page that was no longer working. However, since they had the title of the speech, I was able to Google it and find it. The book worksheets did not have enough room to write a full 500-page essay, which I find to be irksome sometimes. This was a very minor complaint since essays could be written on normal notebook paper instead. Some of the readings had too many questions for them. Lesson 6 had twenty questions or so, and I think that it is unnecessary to have so many. Others may not agree, but as a student, fewer questions is better. I thought this was a great writing program. Having all of the different readings from the great writers and rhetoricians was a great addition. There was no need for me to pull together a bunch of different resources. I would recommend this high school writing curriculum for any high school student, but probably recommend it be for the junior or senior year. Overall, I really like this book. It is one of the few school books that I like because I have learned so much about how to write better. I have found it to be a helpful book for improving my own writing techniques.